| The views and opinions expressed in the articles are those of the author and do not necessarily reflect those of the organization. The Brothers Size by Tarell Alvin McCraney is in the rehearsal hall beginning to bring the Yoruba mythology to life on stage next month. We asked director Mumbi Tindyebwa Otu a bit about what she’s planning for this beautiful piece that weaves African gods with a contemporary perspectives on masculine norms and expectations. What is it about The Brothers Size that makes you want to direct it? There are many things that strike me about this play. One of the first things that drew me to The Brothers Size was its portrayal of black masculinity. The play is unique in showing the tender side, the more vulnerable, more intimate nature of black men’s relationships with one another and with themselves. This is a perspective that we rarely see on stage, on screen, anywhere really. I had also watched and been blown away by ‘Moonlight’, the Oscar Award winning movie based on Tarell’s play ‘In Moonlight Black Boys Are Blue’, and was excited to discover more about him as a writer. I was also drawn to the fact that Tarell draws his inspiration in creating the play and its characters from the world of Yoruba mythology. He could have simply written a play about three black men growing up and living in the projects, but instead he crafted and named his characters after African gods. This fascinated me. It was something that I felt was very inspiring, and uplifting and elevating of the lives of black men that are often sidelined, marginalized and criminalized in our society. What excites you about the text? I love the poetry of the language. The language is very lean and there is a lot of breadth and room to imagine and interpret as creators. The play really invites you in with its poetry and its theatricality. There is also a lot of beautiful ambiguity in the world that Tarell has created. The overall narrative is super clear, but you are always being asked to dance in between the spaces of what is said and left unsaid and having to piece the pieces together. I love that about the piece. I love that the play is also operating on so many layers and that there are always multiple truths at play. Unpacking all of these layers is the exciting challenge ahead of us as we head into the rehearsal hall. Can you share anything about your approach or your vision of the piece? Over my conversations with the designers we have been asking questions about how world of Yoruba mythology co-exists or is in relationship with the contemporary feel of the play and making choices that I am excited to explore with actors and the rest of the creative team in the coming weeks. I am also excited about working with the incredible Waleed AbdulHamid, as a live percussionist/musician for this piece. I have been a huge admirer of his work as a musician, musical director and composer. Waleed will be in the room with us the entire rehearsal process and will be performing percussion live as well as creating music with the actors. Overall there is a just a lot to discover going into the rehearsal room, and I believe for our audiences. The writing is masterful, and I do think there are lots of ways into this play. Waleed Abdulhamid is working with the three guys in The Brothers Size to incorporate beautiful vocal and musical work into the show. We asked him what he is planning and where this inspiration comes from. He shared a bit about his vision, and how meaningful the experience of working on this show is to him. Can you share any thing about the music you are creating for The Brothers Size? This piece is not going to only be percussion; it’s going to have flute, marimba, likembe (African thumb piano) and chanting vocals. Today I discovered I have three really strong singers which is great. Even, I checked some harmonies and I’m thinking to myself “whoohoo! I’m so excited”. I gave them different harmonies, I checked their range – I can be very comfortable and safe to experiment musically. We’re going to use everything on that stage; there are going to be drums are going be created with skin on both sides, and they’re going to be huge, they’ll be a part of the set as well as an instrument. I will also have this huge marimba almost the size of the tables in the atrium, and likembe, an actual flute, and a vocal processor to create more vocals. We’ve started to create it already, we’ve translated some of the words to Yoruba, and I did a little bit of a song with a choir and we’re going to be doing it in the play as well. Where does the inspiration for the compositions come from? I have over thirty years of music in theatre, and a lot of the music is inspired from the text. This text is inspired by a lot of African stories and spiritual figures and traditions. I was born in Sudan so that will also give me the experience of both worlds – I will get inspired by the script, but the script is inspired by the traditions of Africa. It’s almost like melting both worlds together. You’ll hear a lot of influences from the Blues, and Yoruba, Nigeria, through different origins, through the Nile, all the way to Harlem, to different places in Alabama, Mississippi, and in church. A lot of that is combined between the past and present of today. What excites you about working on The Brothers Size? I’m a father, I have a teenage girl who is 16 and a dreadlocks boy who has always been asked why he looks different. Going back to look at the playwright Tarell Alvin McCraney’s story, it’s almost the same. He’s picked on as a different – even when he was the smartest in the class, there are always questions. As a father, a black guy, and an African person, somebody who lived in both worlds because the story has the three spiritual figures, to be the directors of those three guys in the hardship of America, I feel like I belong to that in a lot of different ways. A story like this is speaks to what I think, today and in the past. When I say the past, I mean as a young African man who came to America. Even though I’m not young, I’m 50 years old, I still try to understand what this world is all about. That is why I am really excited to do something like this, especially in a city like Toronto. For me the winning card when I do work like this at the Young Centre, different people from different corners of the world can come into the Michael Young theatre to watch the story about three young men having really hard time but bridging that story with the past and the three different spiritual figures is what really excites me and is really important to me. One of the reasons we are refusing each other is because we don’t know each other. You smile at me that’s an invitation to get to know you. If you say hello, that is the first step. If you hug me that’s another big humanity step. I think that’s most important thing. Art always reflects the true colours of humanity. To share that is going to bridge the gap, and then people will know what is happening. When we create art we have the privilege of being on stage and reflecting what humanity is. Kyra Harper, who is playing the role of Margrethe Bohr in the upcoming production of Copenhagen by Michael Frayn, delves into who Margrethe truly was, and what it takes for her to step into her shoes. Read what Kyra has to say about who this intelligent and observant woman was. As I do my homework on Copenhagen, I attempt to demystify the physics and metaphors in Mr. Frayns often daunting script, but it’s clear to me this is one I’ll never fully comprehend and I have the uneasy realization that I have to be okay with that. This does not sit well in my actor brain, my instinct is to uncover the meaning behind every word on the page, how else can I possibly do justice to my role? But the paradox is that I can actually use the unknown to draw on in playing Margrethe Bohr, wife to Neils Bohr the famous Danish physicist. It becomes clear to me that Margrethe is a woman with great intelligence and a searching mind, and though she is not a physicist or mathematician she has an understanding of the principles and theories explained to her in ‘plain language’ that neither her husband or Werner Heisenberg possess. Margrethe’s gift is going beyond and beneath the language of the equations to the application of the theoretical in the tangled and bittersweet relationship between Neil’s and Werner, to hold a mirror to them in an effort to have them actually see their behaviours. And in so doing I think she acts as a conscience in the play, at least as a voice to be heard and considered. Her path is direct and rooted in the truth and consequences of humanistic behaviours. Margrethe is a mother, wife, friend and shrewd observer of the world around her,and now as she probes the depths of the unanswered question put to Heisenberg she fulfills her role as mother bear and protector of Neils, her great love and partner in all things. Soulpepper is excited to be partnering with RARE Theatre Company for a fifth time. Performances of this brand new play, Welcome To My Underworld begin May 8. Judith Thompson directs and dramaturges this new play, working with texts from nine diverse playwrights. We asked two time Governor General award-winner Judith Thompson to share a bit about the upcoming production. Can you describe the process of working with 9 playwrights and bringing their individual pieces together into one play. It has been one of the greatest joys of my 35 year career in the theatre to collaborate with nine brilliant and unique emerging playwrights. Most of the playwrights bring a wealth of experience to the project as theatre-makers, but for Welcome to my Underworld I have asked them to focus only on their writing. Writing means ideas, it means reinventing what a play is, it means bringing shifting meanings of identity and language to the stage. Writing is a form of archeology, a creative documentation of a particular time in our history. Each of these short plays is a calling card from its playwright, and I look forward to seeing all nine of them flower into full length masterpieces. What excites you about the text(s) and the show? As a director and dramaturge I am excited by the challenge of weaving nine very different plays into one plausible and exciting journey. Working together we have found striking commonalities between the plays, and these become the golden threads which tie the pieces together as if it were always meant to be. I am thrilled to have Olivia Shortt compose and perform original music for the piece, and the great Monica Dottor responding to both the text and the music and creating another choreographic masterwork. I plan to create a riveting, joyous, and authentic piece of theatre with the extraordinary texts of each of the writers and the centre. A country is defined in no small part by its artists and its writers. When the play is over, the text remains, and tells us who we are underneath the surface. Canada is not maple syrup and Mounties and intolerable cold. Canada is a complex, multi-faceted country with a population far too diverse to be pigeon-holed. Welcome to My Underworld is a warm introduction to nine of our best new writers. ODSP Accessible Tickets are available for $25 for all performances. Ontario Disability Support Program (ODSP) ID required at ticket pick-up. 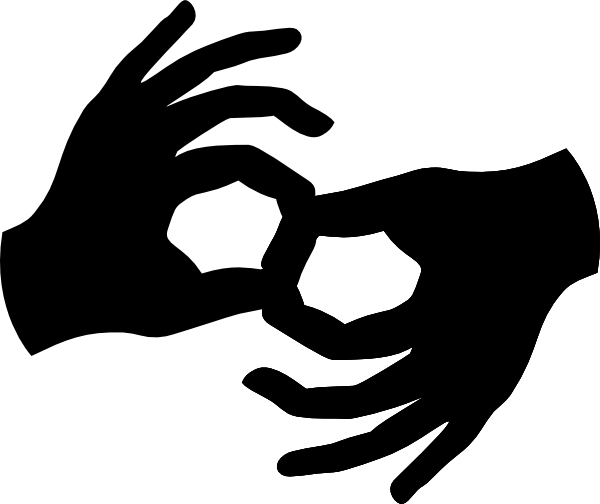 Live ASL interpretation is provided on the Saturday, May 25 (8:00 PM) performance. Live Audio Description for the visually impaired is provided on the Saturday, May 18 (2:00 PM) performance. The World Premiere of Wedding at Aulis begins in just a few weeks! Academy graduate and playwright Sina Gilani is working with some of Soulpepper’s most established artists as well as some of the freshest artists to come through the company – like set and costume designer, Michelle Tracey, who is a fellow Academy graduate. We asked Michelle to give us a sneak peek at the designs for this intimate (and nearly sold out) show. Wedding at Aulis Set Close Up, designed by Michelle Tracey. Wedding at Aulis Maquette, designed by Michelle Tracey. The audience will enter into an intimate enclosed playing space with seating on all sides. Draped fabric serves as an entrance to the soldiers tents, as well as framing the three Fates who act as storytellers of this myth. The centre of the playing space may evoke a barren landscape on first glance. As the performers move through the space, their steps will begin to uncover the vibrant red colour beneath a layer of fine black mulch. I envision this floor as a trampled poppy field, covered by dirt and ash, or a blood stained battle field. The costumes blend ancient greek lines, with eastern folk dress and moderns materials to create a unique universe that we hope will resonate with audiences on multiple levels. Copenhagen by Michael Frayn hits the stage next month so we asked director Katrina Darychuk a bit about what she’s planning for this historical, ethical impasse that is remarkably timely in our world today. What is it about Copenhagen that makes you want to direct it? I’ve known about Copenhagen since I saw a production of it at the Vancouver Playhouse when I was 12. No doubt I did not grasp its complexity—scientific or philosophical—but I was rapt by its many layers. And that memory also includes a lot of humour, so the darkness of the wit made an impression. There is a lot of poetry in this play, and that was the language that first spoke to me. It’s a difficult piece with a poetic pulse. There is a search for a common language within the piece that strikes me as very universal element. I love work that finds a way to artfully and meticulously examine our biases, and it does just that. Michael Frayn has created a purgatory-like world, so it seems static but we’re also in a memory play, a historical play, and a philosophical mind-game. I am excited by the potential of creating a space that can be malleable and responsive to the thoughts and desires of Bohr, Margrethe, and Heisenberg. Even though the characters are dead, their argument is very alive and urgent. Working with content that is unknown—quantum physics, the creation of the A-bomb–offers such an immediate challenge to the creative team. It’s a bit dangerous and requires a steady balance of research and humility. The politics and the physics are entirely intertwined with the personal in this story and that entanglement is what excited me the most. I’m very aware that as we start rehearsals, there are nine countries holding significant arsenals of nuclear weapons around the world. Four were in the news today—North Korea’s talks with the US about denuclearisation, and India and Pakistan’s increasing conflicts, which would be the first conflict between two nuclear states, ever. The events of the story of Copenhagen have led to this reality. Our approach will no doubt acknowledge this fact, and examine the characters’ pursuit to understand their own complicity.